Setenays Paintings find their beginning there, where her colours are transforming into symbols. One can classify her work of art into Expressionism, since for Setenay colours are without doubt the basic meaning for expressionism. 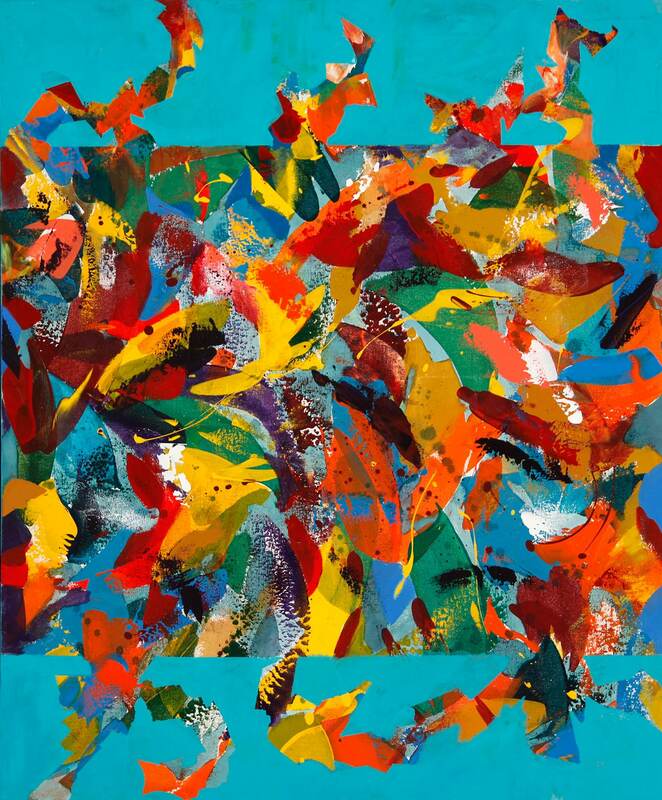 All these colours, so powerful in their contracts, many times also turquoise, mixed with comprehensive colours, do bless her paintings with three-dimensional depth and if you look at the picture as a whole one can see, that the artist sometimes uses triangular forms, which are symbols for energy as well as for calligraphic abstractions. Her colours tell stories in her own language, and they come from deep inside the artist and conquer so to speak the complete canvas. Senetay is a committed and dedicated artist. She is a member of Internationale of Art Plasipues, as well as member of the Association of Writers (PEN). Her motto : there are no limits for us, except our own way of thinking.